When you’re packing up for your travels, make some room in your suitcase for a few exercise essentials. Putting weights in your carry-on may be impractical, but you can easily fit a jump rope and a resistance band into your luggage and take some valuable workout equipment on the road with you. It can be tough to maintain your exercise routine when you take to the sky and put oceans between you and your gym, so bring the gym along with you for simple workouts any time. Running is a great way to get cardiovascular exercise every day, strengthening your heart and shedding pounds at the same time. When you go traveling, whether for business or pleasure, pack your running shoes and go for a jog every morning. Not only will you get some good exercise in before you start each day, but you’ll have the added benefit of getting to see some new locales from a fresh perspective. Bring along your smartphone and turn on your GPS in case you wander a bit too far and get lost. Most travelers get into the habit of eating out most of the time when they’re staying in foreign cities. While it may be fun to eat at all the best restaurants in town, it’s also expensive and can make it much easier to pack on the pounds. Restaurant eating encourages stuffing yourself and the recipes are usually not the healthiest fare. Go to local grocery stores or markets and stock your hotel room’s mini-bar or refrigerator with fresh groceries. You can use your coffee maker as a source of hot water to cook some things, and lots of good fruits and vegetables are very tasty when eaten raw. It’s easy to get into the habit of drinking lots of coffee and soda, especially when airlines are offering them for free on your flights. However, these sugary and caffeinated beverages can leave you dehydrated and are not good for your health at all. Sodas are packed with hidden calories. Keep yourself healthy and avoid the extra calories by opting for water and fruit juice to stay hydrated on your flights. If you plan on staying in any particular city for periods of a couple weeks or more, it may benefit you to find some personal training courses or exercise groups. 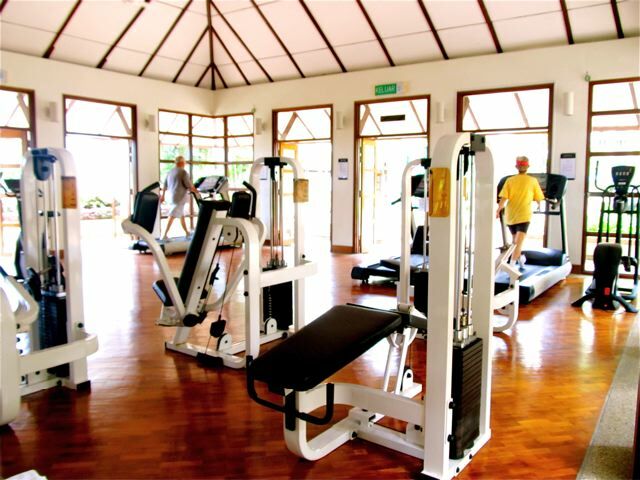 You don’t have to splurge on expensive gym memberships or visitor fees while you travel. Instead, look into outside exercise options such as group runs or outdoor martial arts instruction. There are plenty of options available to those who look.